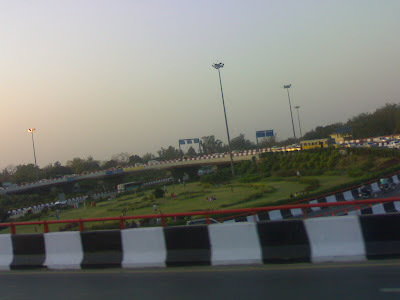 This is the AIMS flyover captured from a moving Blueline Bus (public transport) by yours truly. Everyday I go to office by crossing the flyover and every day the beauty and the engineering magnificence gets to me. The rash driving of the Blueline bus-drivers almost makes me feel like I am participating in a Formula 1 Racing event. i pass by this flyover everyday but i still love it as much as i did d first time i saw it!! its a nice pik. am curious if this pik was takn from a moving vehicle or did you actually stop and shoot this. But guess it was worth it. must say, thats quite an effort. in fact a lot of credit should also be given to the mobile because it managed to stabilise the image and not blur it. do u own a camera as well? I own a digital camera.... but not an SLR as of now... But carrying a camera everyday is not a practical opiton. 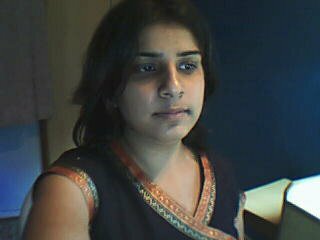 So the next best thing is the inbuilt camera of my cell phone.